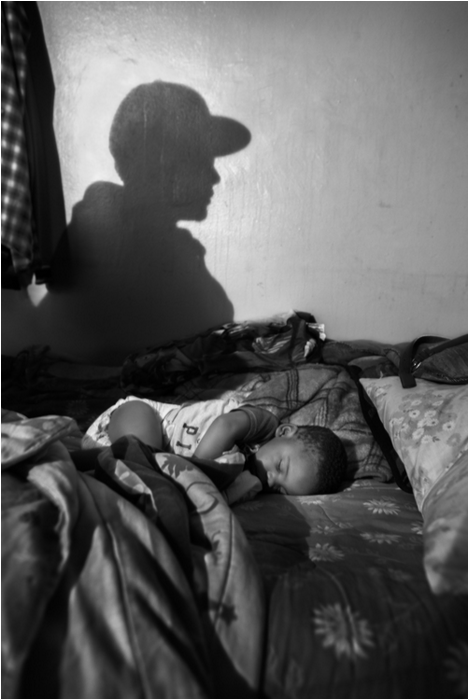 Nicolas Enriquez is a 21-year-old photojournalist and documentary photographer who was born in Colombia and has an interest in social issues and urban conflict. 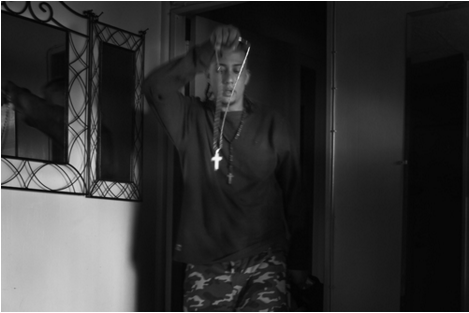 While studying at the International Center of Photography in New York, Nicolas undertook a very ambitious project -- to document the intimate and family lives of the members of the largest and the most organized Hispanic street gang in America, the Latin Kings. The Bloodline, which serves as the title for the body of his work, is also the name of the New York State chapter of the Latin Kings. "At the beginning of this project, I had a clear idea of what I wanted but I didn't know how to pursue it," Nicolas explained at The Photo Brigade, a photography showcase organized by Adorama. "What other photographers have done with gang photography in the past seemed too narrow -- they were mostly photos of pulled guns or fights in the street." Nicolas wanted to take a closer look at the private lives of the gang members; he was interested in the family situations these -- often very young -- men were facing and the reasons that lead them to join a gang. Luckily for us, Nicolas succeeded in his intent and The Bloodline is a touching photographic journey that humanizes Latin Kings members and tells a story of solitude, oppression, and a lack of freedom -- a life that is closer to a life of an inmate than that of a free man. 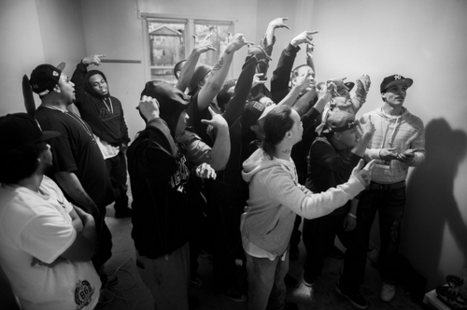 Naturally, gaining access to Latin Kings, not to mention to their private lives, wasn't easy. Under the pretense of a fake project called "People Living in the Neighborhood," Nicolas began to walk the streets of Brooklyn and assess who could be a Latin King. "This was the first Latin King I met," Nicolas said. "His name is Bone, or Hueso in Spanish." Nicolas asked if he could take a portrait and do a little interview with him. Bone introduced him to other people and Nicolas tried to stay in touch with those who appeared to be Latin Kings. He also made it a point to always bring the prints of the photos he took for the men to keep. "I was underage at that time, so I couldn't go grab beers with them, which was a big problem," Nicolas told the audience with a laugh at The Photo Brigade. "But I could go to eat with them, and I always tried to bring something to make that access a little easier," Nicolas explained. He also pointed out that it was still very hard to get closer to the men because it was a new environment that he didn't understand and knew nothing of. 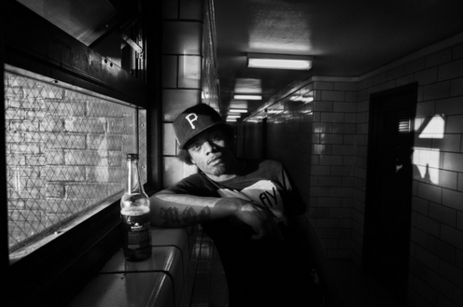 One day when he was in the streets hanging with Bone, he met Smoky, a 25-year-old guy who runs the gang in Bushwick that the gang members refer to as the "South Side". "Smoky wanted me to take pictures of him at a party. So I went," Nicolas explained. "I was extremely nervous -- almost shaking," he confessed. "They were going to pick me up in a car in Brooklyn. The only thing I could have done was to tell my friends, 'Hey, this is my phone number and this is a phone number I have from them. I will text you at 9pm that I'm good and things are working'." On the day of the party, men picked Nicolas up in front of a Bushwick Subway restaurant. They stopped in front of a graffiti wall a couple of times to take photos but Nicolas said the pictures were not working because he was too nervous. "They smoked a lot of marijuana in the car, there was a lot of drugs," Nicolas said. 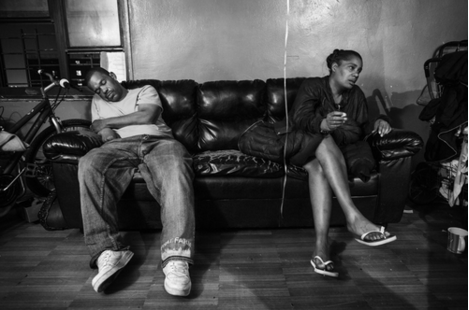 At the party, Nicolas was introduced to about 30 Latin Kings, all of whom treated him with respect due to his friendship with Smoky, and allowed him to photograph whatever he wanted. After Nicolas, Smoky, and others left the party, a police car stopped them. "Oh my god, this is all my fault. I called it," Nicolas thought at the moment. The police made them get out of the car, which at that point reeked of marijuana, but luckily they left it all at the party. "They usually have little blades on them but they are kinda legal because they say they work in construction and they have even construction helmets in the car," Nicolas added. The cops checked everyone's IDs, skipping Nicolas and asking him if he was okay. "I thought that was a little racist," Nicolas said. "That was my first Latin Kings experience," Nicolas explained. After that, all he wanted to do was to keep the momentum going, work on the friendships he'd made, and keep going out with the Kings a couple of times per week to photograph. After each outing with the Kings, he went back to ICP, processed photos, printed them, and brought them quickly to the gang. 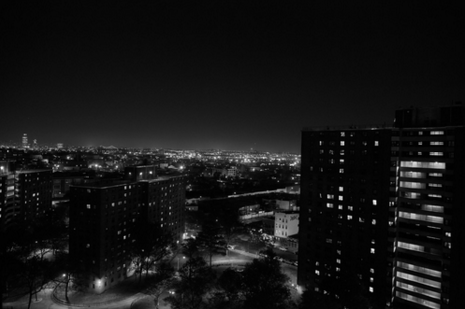 "The majority of them live in the projects in Bushwick," said Nicolas. 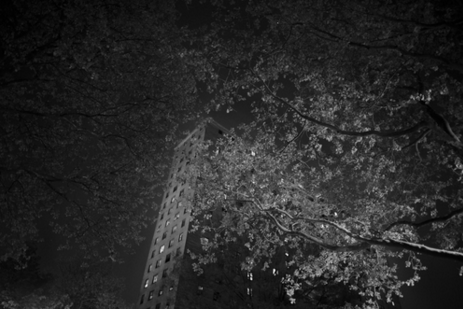 "As a foreigner, I had an image of New York, which consisted of the Empire State Building and Statue of Liberty. Taking the subway for 20 minutes and reaching this part of New York's culture was truly mind-blowing to me." Nicolas explained that a man for gang security is present in front of the building 24-7. This man's role is to give a call in case he sees police, other drug dealers, or members of other gangs. "I did a lot of research about gangs on the internet but the only moment I really understood their reasons for joining a gang was when I talked to them about their lives and what they experience every day," Nicolas said. "There is a lack of freedom about what they do. They live almost like in jail, there are a lot of police officers around them, every window has bars on it. They live in these projects and that's their life, their business," said Nicolas. "Living in projects is by itself a dangerous thing," he explained. "There is a lot of claustrophobia, a lot of police officers, and other gang members are your neighbors. All this stuff happens in front of your door." "I started to fall into this feeling that they are all just kids, many times even younger than me," he said. 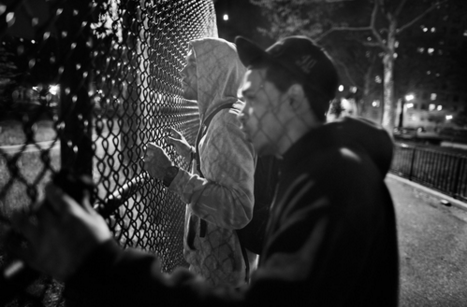 Being in a gang sometimes felt almost like a game, a boys' club where no girls were allowed. This game then sometimes -- from one day to another -- became too dangerous and risky. The Bushwick leader Smoky is originally from Staten Island, but he lives at his aunt's in Bushwick with his cousin and her kid, according to Nicolas. "Smoky had to move to the neighborhood he manages," he said. Nicolas also pointed out an alcoholic woman named Kendra who regularly hosts gang members' meetings inside of her home even though she has a little child. "The gang members always smoke a lot of weed, talk about what they did, and it just didn't make sense to me that it was happening around a small kid," Nicolas said. "I wanted to make a difference, 'to save' the little kid but that's also the way they live and that's how they grow up. The best way I could do something was to be present and photograph stuff." "My own parents are great, and the conditions in which I grew up were very different. I couldn't believe that you can raise a kid like that," Nicolas said sadly. 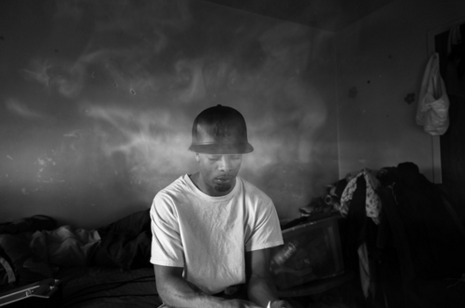 "I couldn't see further in the future for this kid than becoming a gang member." Being a gang member, a lot of time is spent just hanging around at someone's place, smoking weed -- the question "Who's gonna roll up next?" is their favorite line. "The gang members sell a lot of crack to homeless people, they steal and sell stuff such as cameras, laptops, phones..." Nicolas enumerated. When Smoky got booked by cops for two days for guns, cocaine, crack, and marijuana, other gang members waited for him in front of his building the entire time, ready to take credit for the charges and go to prison in his place. "There is a lot of loyalty in the gang," Nicolas added. "Also it's completely impressive how organized the gang is." Nicolas' involvement with the Kings ended when the group from the East Side got into a fight with the South Side and he found himself stuck in the middle of two groups. "You have to be really careful in situations like these, because things can explode easily," Nicolas said. He decided to separate ways with the gang for at least a month. Many times, Latin Kings are on the street, just walking, and when they see a guy from another gang they will call the name of the gang and if he shows the sign of the gang, they will jump him and beat him up. "There is a lot of stabbing, a lot of shooting -- even though they're not very good at aiming and it's usually just for the position. It can go out of control very very fast," said Nicolas. But despite all the violence and drug dealing, Nicolas concluded that it was the feeling of solitude of the gang members that stuck with him the most in the end. 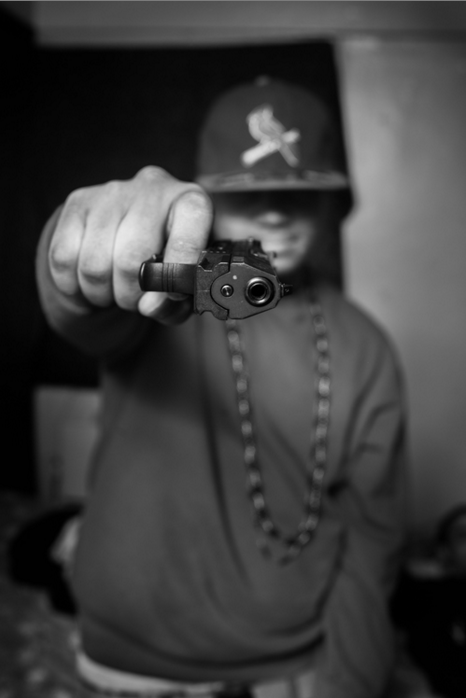 "There are 7,000 gang members in the city and they face a lot of repression. They really need a hand ... All this violence is just a cover, they are very alone, even in groups..."
All photos are property of Nicolas Enriquez. Please visit his website to see the full series in high resolution.